Emergency Dentists USA is your source for a great Henderson emergency dentist who can handle your dental emergency right now. Our 24-hour dental hotline connects you to a live person who can direct you to the closest emergency dental clinic or set up an appointment for your dental procedure. A painful toothache is not a problem when you access our comprehensive listing of Henderson emergency dentists with after hours appointments and walk-in services designed to get you out of pain as quickly as possible. Emergency Dentists USA is a great resource when it comes to finding the right dentist for your dental emergency regardless of the time of the day. Emergency dentists who are available on the weekend or after work are listed right on our website, making it simple to choose the best dentist for your dental problem. Here you will find walk-in dental clinics, after hours dental care and emergency dental services that suit your needs. Emergency Dentists USA has an extensive listing of Henderson emergency dentists providing the care that you need exactly when you need it. This listing includes the top walk-in dental clinics in the Henderson area along with after hours dental offices that serve your needs even when most other dental clinics have closed for the day or for the weekend. Walk-in dental clinics – Dental clinics that allow a patient to walk in without an appointment are usually not easy to find. Apple Dental on Pecos Road has walk-in dental office hours that mean that you can get out of pain immediately. Emergency 24-Hour Dental Clinics – Clinics that specialize in being open 24-hours per day are not available in Henderson, but there are many hospitals with emergency departments that cater to anyone with dental pain late at night or on the weekends. After Hours Dentists – After hours dentists like the ones at Stoker Family Dental Care and Gentle Dental provide evening and weekend appointments for patients who just cannot wait until regular office hours to have their dental emergency addressed. Located below you will find our comprehensive listing of Henderson emergency dentists. From dental clinics with walk-in appointments to cater to anyone with a dental emergency to after hours clinics with late evening hours and weekend appointments, Emergency Dentists USA has you covered when it comes to a dental emergency in Henderson. Our 24-hour live hotline also provides help in locating the right Henderson emergency dentist for your dental emergency regardless of the hour. DescriptionFind an emergency dentist in Henderson NV quickly with our referral service! You can get emergency dental help in Nevada fast. Offering what you may very well be looking for, a dentist open on Saturday in Henderson, this dental practice provides a full plan of general dentistry services. They cater to those who have urgent needs due to unexpected problems with their teeth, mouth, tongue, lips, or jaw. Choosing emergency dental care in Henderson, Las Vegas is first a matter of finding someone that has expertise. Secondly, locating a facility that can service you if you suddenly walk in is critical. This facility meets that criteria and invites you to contact their clinic if you should have any questions and emergency appointments are available, including Saturday appointments as may be required. The dentist at the family dental center is Dr. Paik, DDS. Offering a range of services across the dentistry categories of General, Restorative, and Cosmetic, this dental center specializes in same day emergency services, comprehensive exams, root canals, extractions, cold sores, crowns, braces, dentures, sedation, and many other dental practices. One of the worst things that can happen to anyone is suffering constant pain such as that from a severe toothache. It can be excruciating and when you are in this crisis mode, it is imperative you get emergency dental care in Henderson or the nearest place you are at. Such oral pain should not be tolerated and you are encouraged to call this facility as per their website. Several factors can lead to you seeking urgent care dental attention such as swollen gums, infected gums, painful tooth decay or an abscessed tooth. 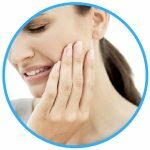 If you suffer damage from lost crowns, dentures that are not operating properly, a chipped tooth, or loose fillings, they advise you to seek treatment as ignoring such ailments can increase your risk for infection, exasperate the pain, and increase risk of health problems such as diabetes and cardiovascular disease. Having a truly caring dental professional you can trust is usually among the traits that a patient places highest on the list when looking for an emergency dentist. If a clinic is known for inflating fees and being dishonest, that reputation can really spread fast, making everyone in the community very leery about going there. This practice has been serving Henderson for more than 30 years, and utilizes state-of-the-art equipment and facilities to assure that you as the patient leave feeling healthy and satisfied. From a spur of the moment extraction to needing x-ray diagnostics to figure out what your problem is, this clinic will be able to aide you in your journey. Description: The staff at Gentle Dental is top-notch at listening to every single patient’s needs, making sure that all urgent pain is handled right away, and simply being the best at what they do. One great thing about them is that they are open extra late on the first three days of the week, until 7 PM. Friday they remain open until 2PM, when you can track them down for help with abscess pain, cracked and broken teeth, or any other difficulties. Description: Here at Henderson Modern Dentistry, you can visit late on Mondays and Thursdays, when they remain open until 7PM. On Friday they remain open until 5PM, and will be there for you if you have urgent need for help with an infected tooth, wisdom teeth coming in improperly, or other issues you may face. You’re going to feel better once you are in the waiting room and are going to be seen promptly, by a staff with years of experience and commitment to dedication. Description: Crestview Dental is a clinic in Henderson that is open on Saturday from 8AM until 3PM, so you have a place that you know you can go if you encounter something you can’t handle. If you or anyone in your family is facing a suddenly extreme aching tooth, potential for an infection, broken crowns, or wisdom teeth coming in improperly, Crestview Dental is a great Emergency Dentist in Henderson NV clinic that can accommodate off of your needs. 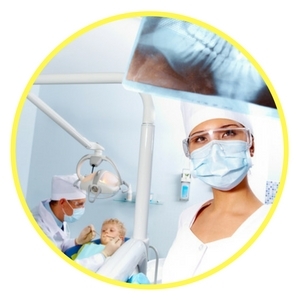 Visiting your Henderson emergency dentist is similar to visiting your regular dentist. Most emergency dental clinics also offer routine dental services like x-rays and fillings along with more complicated procedures like tooth repairs. Gather your recent dental records including x-rays and examinations along with your insurance information prior to your Henderson emergency dentist appointment. This will help your dentist to choose the best care for your dental problem. Try to arrive at least 15 minutes prior to your Henderson emergency dentists appointment in order to fill out paperwork and ask any questions that you might have before you see the dentist. Ensure that your Henderson emergency dentist accepts your payment method prior to your visit. Most emergency dental clinics accept cash, credit cards, personal checks, and even offer low-interest payment plans if needed. Check to see if your Henderson emergency dentist accepts your dental insurance. This can save you money when it comes time to pay the dental bill. Let the Henderson emergency dentist know if you have allergies to any medications. Bring a list of your current medications to the dental clinic when you have your appointment. Do you have intense dental anxiety or fear? Let the Henderson emergency dentist staff know if you are afraid during your dental visit. They can help to calm your fears by explaining the procedure. The most common 24-hour dental emergencies can strike at any time and rarely give you a chance to make a dentist appointment in advance. This means that handling your common dental emergency takes time, and when you are in pain this time feels endless. Emergency Dentists USA has a great listing of emergency dentists that are ready to help you end that dental pain and get back to having fun in Henderson. Common dental emergencies include lost fillings and lost or loose crowns. You might also encounter a painful toothache, a dangerous abscess, or even a soft tissue injury to the mouth or gums. Other common dental emergencies include broken or chipped teeth or even teeth that are knocked out of your mouth completely. Partially extruded teeth and braces that are damaged or loose with broken wires are also common dental emergencies that interrupt your fun while you are in Henderson. An abscess is a painful and sometimes dangerous dental emergency that requires immediate attention from a Henderson emergency dentist. 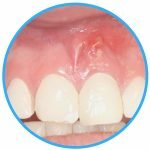 An abscess is actually an infection that occurs in the tissues between the teeth or even below the teeth in the gum. An abscess is particularly dangerous because the infection can spread from the gum to other parts of the mouth or even the bones of the jaw. Rinsing your mouth several times with warm salt water will help to draw the pus from the infection toward the outside of the gum. Use one-half of a teaspoon of salt in a cup of water several times during the day. An emergency toothache is one of the most common of all dental emergencies. Toothaches can be caused by tooth decay or even an object caught between the teeth. Rinse your mouth with water and floss between teeth gently in order to remove any object caught between the teeth. Never use a pin or other sharp object to pry between the teeth. Never place aspirin or any painkiller between the cheek and gum to alleviate pain as this can cause burning of the tissue. Use a cold compress to help alleviate pain outside of the mouth. Visit your Henderson emergency dentist as soon as possible to determine the cause of the toothache. 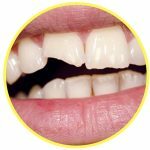 A chipped or broken tooth is another common dental emergency. If you are able to find the chips or portions of the tooth, keep these to bring to your Henderson emergency dentist. Rinse your mouth with water and apply gauze to any area of the mouth that is bleeding. Using steady pressure for at least 10 minutes should control any bleeding that occurs when a tooth is chipped or broken. Use a cold compress to reduce swelling outside of the mouth and to control the pain caused by the broken tooth. Visit your Henderson emergency dentist as soon as possible to fix your chipped or broken tooth. An emergency tooth extraction might seem like a scary dental emergency, but your Henderson emergency dentist has the tools and training to make this appointment a breeze. You might need an emergency tooth extraction if you have a tooth that has decayed beyond the point where a dentist is able to repair it or if a tooth is crowding other teeth in your mouth. Your dentist will usually take an x-ray of the tooth and perform an examination in order to decide on the best course of treatment. He or she then uses a local anesthetic or a general anesthetic to keep you comfortable during the extraction. A special tool is used to remove the tooth from the gum and stitches that dissolve over time are used to close the gum following the procedure. The Henderson emergency dentist will sometimes pack the gum with gauze to control any bleeding and it is important to follow any instructions regarding medications and safety following the extraction. Full healing usually occurs within one to two weeks following the procedure and you should avoid eating hard foods or drinking through a straw while you are healing. Avoid smoking and drinking alcohol to ensure that the gum heals completely with the minimal amount of pain. Deciding whether to visit the emergency room or your Henderson emergency dentist with a dental emergency is not a hard decision. If your dental emergency is induced by a fall, an accident, or even a sports injury, it is important to visit the hospital emergency room to ensure that you have no other injuries like a concussion or a broken bone. If your dental emergency includes only your mouth and teeth, visiting your Henderson emergency dentist is probably your best choice. Your emergency dentist is trained to handle any tooth problem that comes your way. Unlike the hospital emergency room, your dentist can repair a broken tooth or even replace a lost filling. Emergency dentists are usually less expensive than a trip to the hospital emergency room and there is often less waiting in the waiting room. Many visits to the hospital emergency room end with a follow up at your Henderson emergency dentist’s office even after the ER physician examines you. 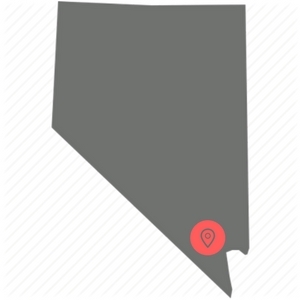 When you choose a new Henderson emergency dentist, it is important to ensure that he or she has the licensure and credentialing to work in the Nevada area. You can use the American Dental Association’s website to check out your new Henderson emergency dentist and learn about their practice. You can also use the Nevada Dental Association’s website to get information about local Henderson dentists and about tooth care. Both websites offer excellent patient resources that include frequently asked questions and even dental career services.